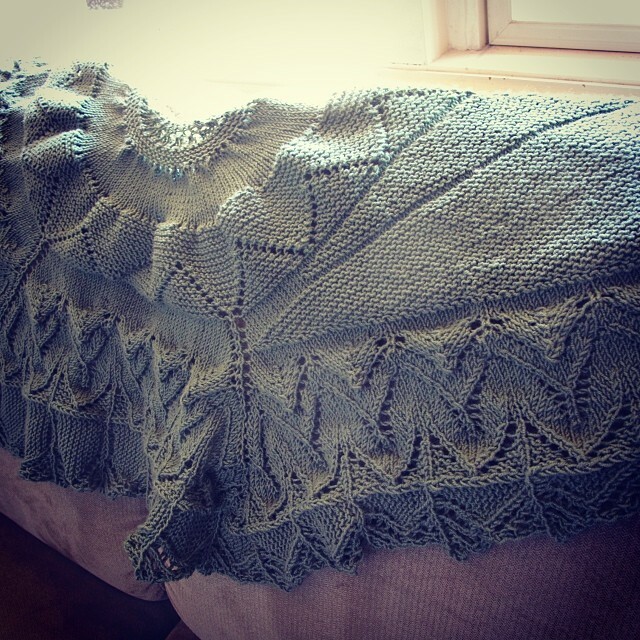 After much time, my ‘follow your arrow’ shawl was completed last weekend. I never thought I was going to finish it. I knit and knit and knit and still the end was not in sight. Clue 5B really showed me. This is the part of any knit-along that I dread. When the novelty of knitting as a community wears off, and you’re just not finished yet. But alas, I love the result. As soon as I cast-off, I somehow decided this shawl was going to be a gift for Damian’s mum. I haven’t actually knit for her yet. She is a knitter herself, so I hope she doesn’t pick up all the errors. There are at least 3 in the last clue. That’s how bad I wanted to cast off. Had I known I was making it as a gift at the time, I would have ripped back, honest.